In traditional fairy tales, princesses are usually the ones in need of rescue. That’s one way to think of princesses, but certainly not the only one! There are new princesses in town: they have agency, they have choices, and they are not one and the same. 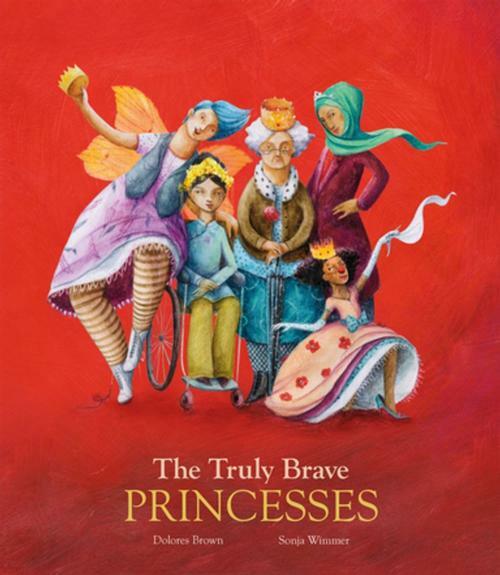 Which bring us to The Truly Brave Princesses, written by Dolores Brown and illustrated by Sonja Wimmer—our December Picture Book Highlights selection, a series where we put the spotlight on a book that has been ordered for all agencies. "Do all princesses live in a castle and spend their lives happy ever after with the prince? Could a princess be a working mom or in a wheel chair? What does it really take to be a princess? Looking for more "princess books" that break the mold? Check out our Not Your Regular Princess Books list for more fun and inspiring titles. Visit your neighborhood library to find this book and much, much more!